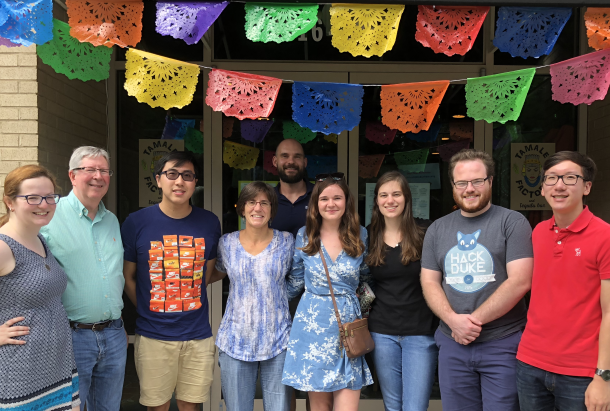 While we are sad to see Alex, our summer high school student go-- we know he will do great things and we are excited to see what he does in the future! 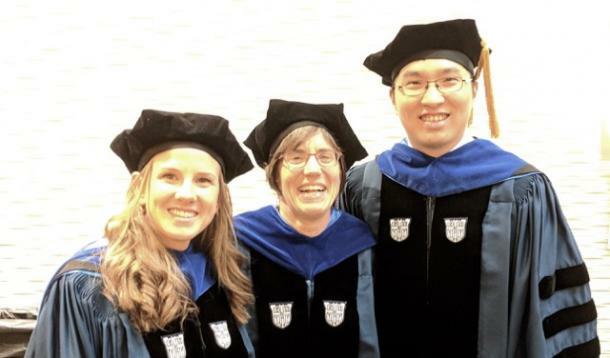 Congratulations to Dr. Samantha Lipman and Dr. Yufeng Deng who are now officially Ph.D's in Biomedical Engineering! 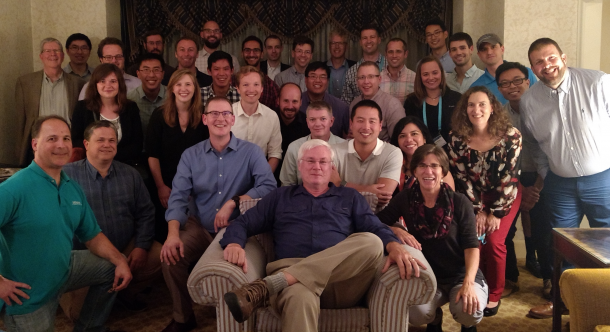 We had a great time meeting up with current and former members of the Nightingale and Trahey Lab at IEEE IUS 2017! Congratulations to all who presented! 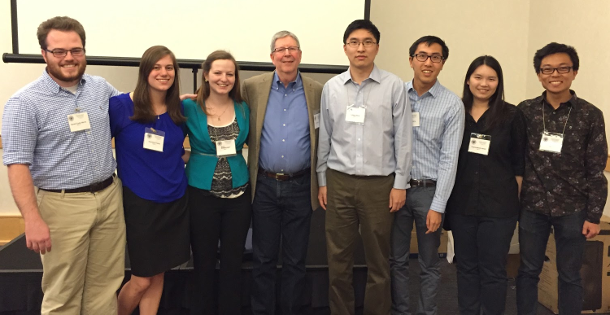 A cohort from the Nightingale Lab at the Ultrasonic Imaging and Tissue Characterization Symposium in June 2016. This photo was taken after successful talks given by Dr. Ned Rouze and Yufeng Deng. The goals of our laboratory are to investigate and improve ultrasonic imaging methods for clinically-relevant problems. We do this through theoretical, experimental, and simulation methods. The main focus of our work is the development of novel, acoustic radiation force impulse (ARFI)-based elasticity imaging methods to generate images of the mechanical properties of tissue, involving interdisciplinary research in ultrasonics and tissue biomechanics. We have access to the engineering interfaces of several commercial ultrasound systems which allows us to design, rapidly prototype, and experimentally demonstrate custom sequences to explore novel beamforming and imaging concepts. We employ FEM modeling methods to simulate the behavior of tissues during mechanical excitation, and we have integrated these tools with ultrasonic imaging modeling tools to simulate the ARFI imaging process. 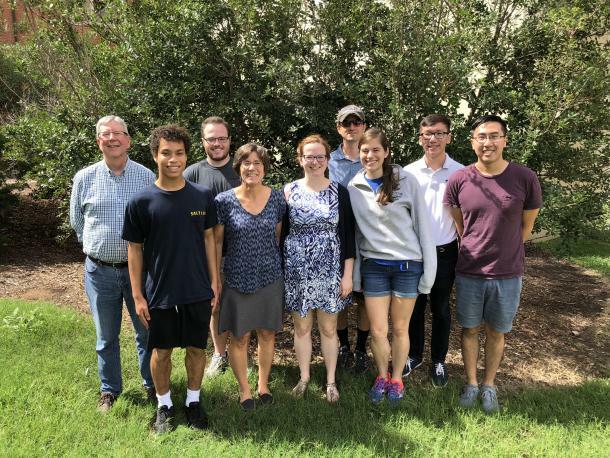 We maintain strong collaborations with the Duke University Medical Center where we work to translate our technologies to clinical practice, as well as with ultrasound manufacturers, with whom many of our graduate students perform industry internships. The ARFI imaging technologies we have developed have served as the basis for commercial imaging technologies that are now being used in clinics throughout the world. We are also leading an effort to investigate the benefits and challenges associated with ultrasonic imaging using elevated acoustic output, motivating the development of output limits based upon patient safety, rather than historical precedence.